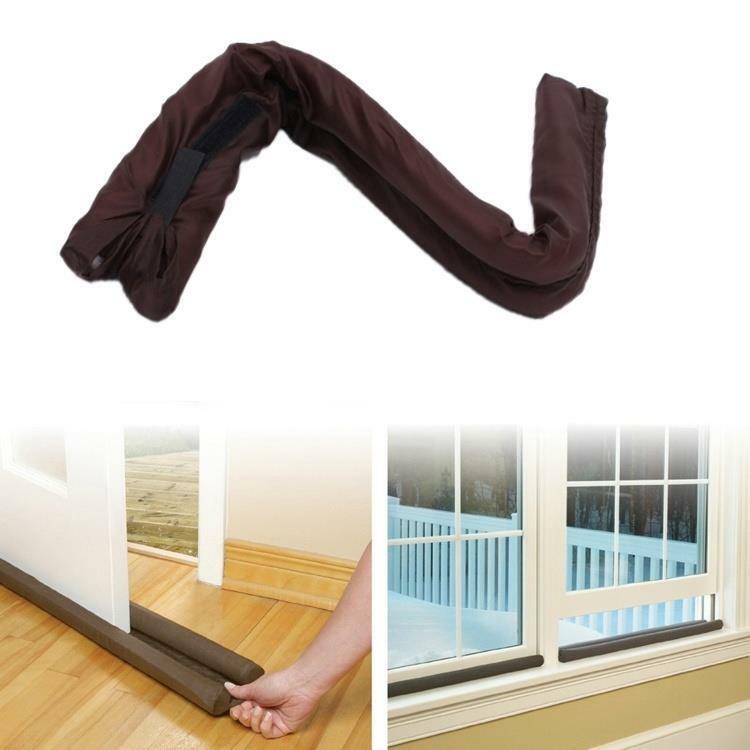 Keep your house cozy & warm and your energy bills low with the new and improved, double-sided Twin Draft Guard Ultimate! The easy-to-use, universal, airtight & patented design double-seals doors and windows up to 36" wide! 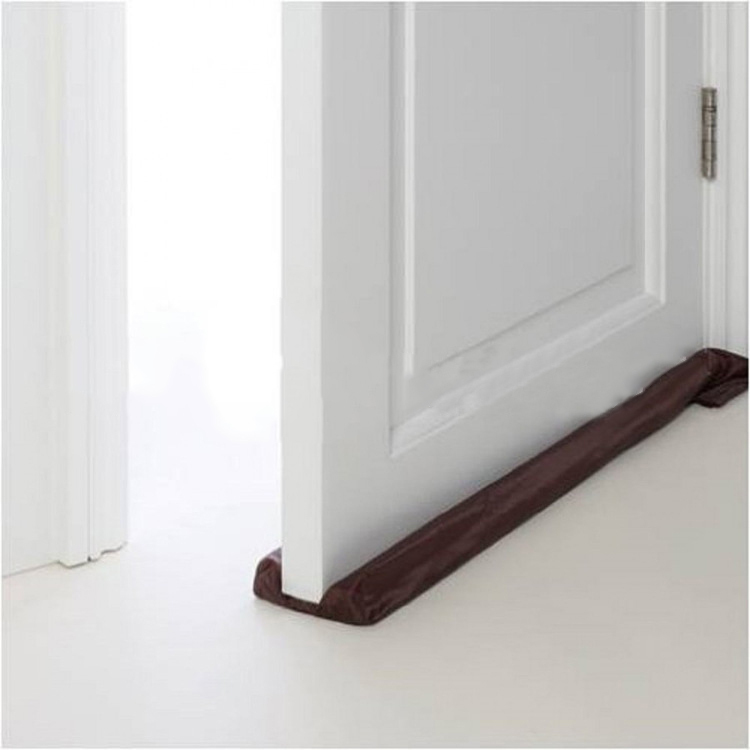 Simply place the draft-guard against the bottom of your door or window and cool air will stay on the outside where it belongs! Dual cylinders block drafts from both sides. 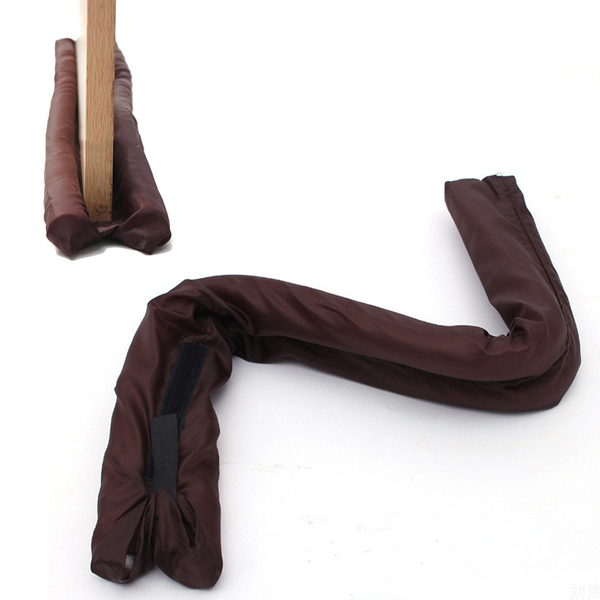 Glides easily over all types of floors – wood, tile, linoleum, carpet. 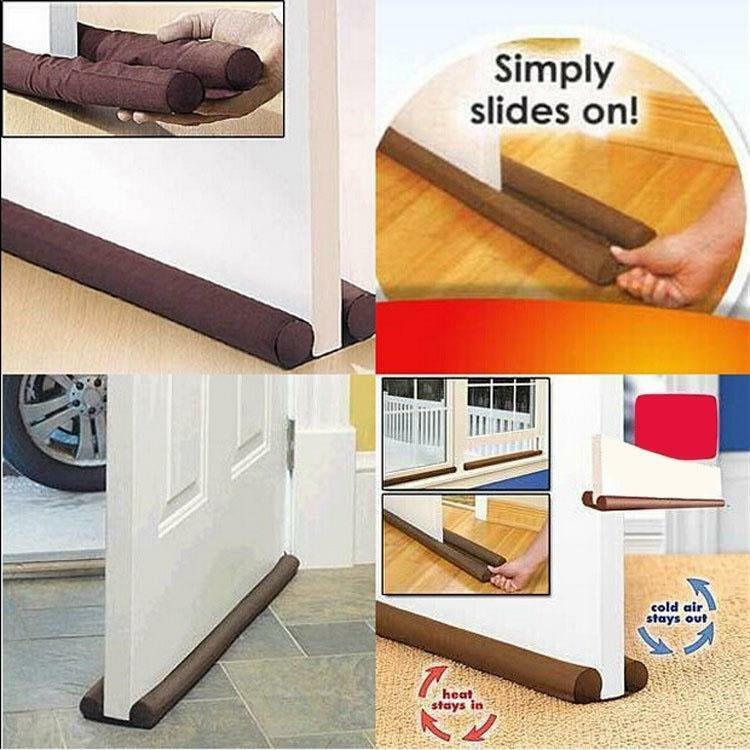 Can be cut to fit any sized door\window as needed. 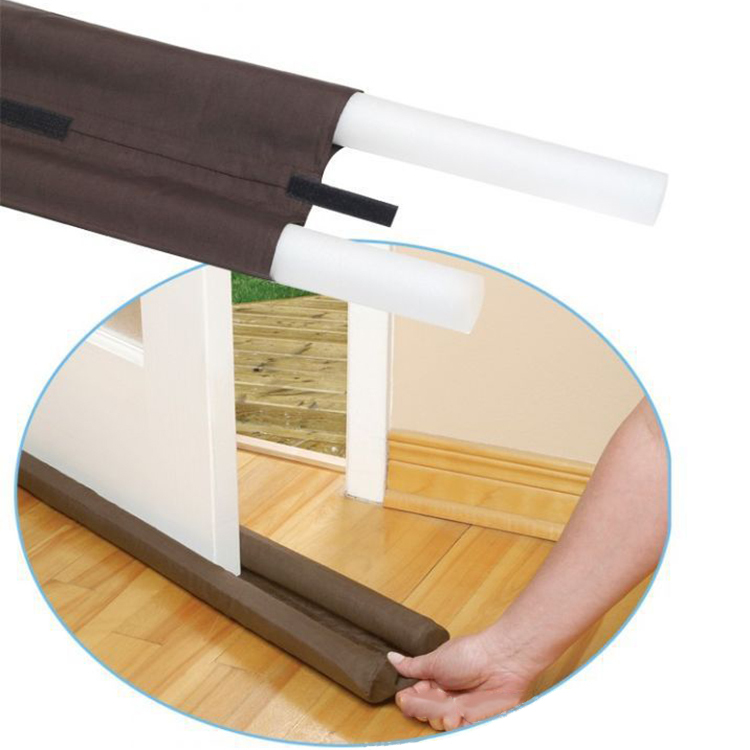 Moves with the door – no bending needed to reposition. 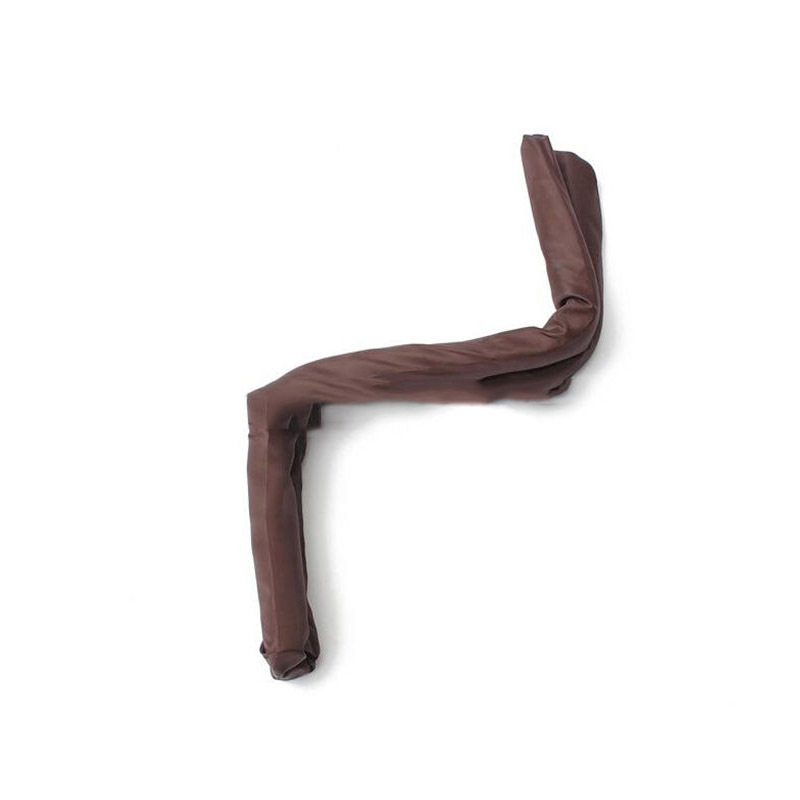 Easy to use, Simpe slide-on design. Keeps out drafts, water, insects, toxic fumes.